Last night at the Gail club meeting we attend, the topic of Bartering came up. What is Bartering? Bartering is simply trading one thing for another. Say I have a goat and I want a chicken, if I can find someone with a chicken who wants a goat, we can exchange these products without needing to first convert the goat and chicken into money. Believe it or not, money was invented to make bartering easier. Using money means you have a set medium on which everything is valued. Houses, cars, cows, goats and chickens all have a dollar figure associated with them. If a chicken is worth $10 and a goat is worth $15 dollars and as a chicken owner I can’t find anyone willing to trade, or anyone that wants a chicken but owns a goat, I can sell off the chickens to people who want chickens and then find a goat owner to buy the goats from. Money enables the transactions of goods to happen relatively easily. Back to bartering. In the meeting a member of the club mentioned there was a bartering society in the Kitchener and Waterloo area. While trading services is something that I have seen done a lot in my family, it is not something I’ve ever tried. Believe it or not, Bartering enabled my dad to pay for my teeth cleaning at the dentist, along with his benefits from work, printing business cards allowed my teeth to stay clean. When I needed a counselor, printing up billing pads for them got my father a 50% discount. My father traded something he was good at, running a printing press, for services he needed for his family, and boy did I need those services when I was a teenager. 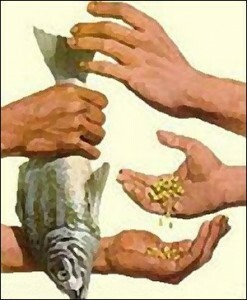 The bartering society is different from the informal and very direct form of bartering my father did. They have a currency in the system. Apparently called “Barter dollars” it allows for the easy exchange of dollars for a service you need and the ability to sell services you have to get barter dollars from others. Basically it is money in a closed system. You can’t take the barter dollars and spend them outside of the barter society. This is simply because if you took them to a Wal-Mart, Wal-Mart employees would look at you funny as if you were giving them Canadian Tire money. So why haven’t I tried to barter? I’m great at fixing computers, but that becomes tedious. I work in a cell phone company, but there is nothing there in that required skill set that can be bartered away. I know my stuff when it comes to personal finance, but dishing out advice to people in exchange for something is highly regulated and I really don’t need the headaches that come from over stepping my bounds. Have you ever Bartered? have you ever joined a bartering society? Is there a secret barter handshake? 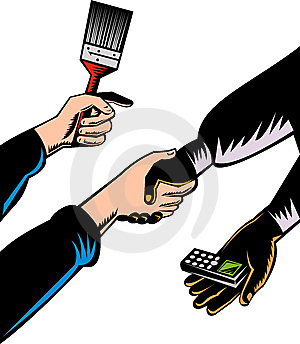 Barter is something that is becoming an increasingly popular method of commerce. If you would like to take advantage of the benefits of using bartering for your small business then this is certainly something you could look into. As such, here are some of the benefits that you will see when doing so. 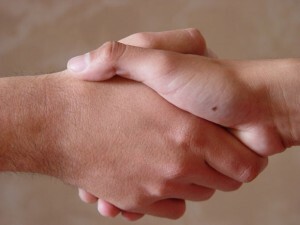 One of the main benefits is the fact that barter increases new business opportunities. You can attract customers and referrals who would not have known about your business had you not joined a Barter network. Members of the network will be a lot more likely to choose you over your competition as there will be no outlay of cash and you can instead use Barter credits. This will then increase your cash sales due to the additional exposure and through referrals. Your customer base can therefore be massively expanded through your network as well. While you can maintain your current base it will be possible for you to add new customers and new clients into your business through referrals and good word-of-mouth. You can also improve on your current way of life through joining a network like this as well. You can use your barter credits for any sort of service that you want in the network. And even if it does not, you are able to recruit any other business into the network. In many cases, by doing this you may even receive a bonus for doing so in the form of credits. If you are interested in joining a Barter network then it is probably best to do your research online. This is another benefit and you do not have to live in the state in which the network operates in order to take part. All in all, these are some of the primary advantages that you will see if you want to use bartering for your business. Writer Jules Vandermint describes herself as a “versitile author.” Jules enjoys writing about just about anything including previous articles about , 4 mil poly bags and clear poly bags. 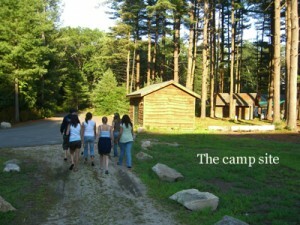 When you think of summer camp, the word “affordable” probably isn’t the first thing that comes to mind. And if you’re like other parents concerned about money in this awful economy, you might be wondering how to afford summer camp for your kids this summer. But don’t worry! Early bird discounts are perhaps the best known and highly publicized of your available summer camp discounts. Here’s how Early Bird Discounts work. Camps generally offer two sets of tuition rates: the regular price, and the Early Bird Price. If you sign up for camp by a certain date, the Early Bird Price can save you money. For example, one camp in Los Angeles charges $5 per day less when you sign up for camp by March 1. Since the price increases by $5 per day after March 1, it obviously it pays to sign up for camp sooner rather than later! In bleak economic times (like this recession! ), bartering can be one of the smartest money-saving strategies you can use. Summer camps want to save money just like you do, so this is a win-win strategy for you both. Maybe you own an advertising agency and you have a few kids you’d like to send to camp. You might be able to provide advertising services to the camp in exchange for a fantastic camp experience for your kids. Here’s another bartering concept that actually happened last year. A day camp in Los Angeles needed a nurse, and the nurse wanted to send her kids to camp. So the nurse ended up working at the camp and sent her kids in exchange. The best way to start bartering is to consider what you might have to offer, and then pitch your idea to the camp director. He or she might be very open to your suggestion! Most camps offer sibling discounts, but they may not advertise the fact these discount are available. So, if you have more than one child attending camp, make sure you ask the camp director if they offer sibling discounts. The discount will vary from camp to camp, but generally, the most common sibling discount we’ve seen is 5% off each additional camper beyond the first child. Five percent may not sound like a lot, but given how much a high-quality summer camp experience costs these days, 5% off can save you a load of money! Hopefully these three money-saving tips will help you save money off your camp tuition this year. Good luck! If you are short of cash, it is possible to barter for real estate. You may not qualify for a mortgage that covers the purchase price, or you may not have enough cash for the down payment. In these scenarios, you may be able to barter for the real estate you want to purchase. There are many different parts of the transaction that you will be able to barter including the down payment or a discount on price, commissions or closing costs. You can barter for part or all of the real estate purchase. For bartering to be successful, you must offer something of value that the other party will accept in exchange. The most common items used in barter are cars, boats, services, goods or other properties. 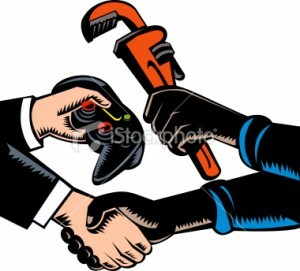 Both parties must agree to the value of the item that is being used in the barter. Value can be determined by appraisals, sticker cost or comparables. The value will be used to determine the monetary value offset in the real estate transaction. The attorney or title agent handling the closing will need to account for the value of the barter in the settlement statement. He or she will need to verify that the items to be bartered are exchanged. Bartering is not a new concept. It’s been around probably for as long as man has walked the earth. In fact, long before money existed people traded goods for services or services for other services. That’s how commerce took place. Today, bartering is as popular as it has ever been, particularly among small businesses that are often strapped for cash. The internet features hundreds, perhaps even thousands, of barter exchange websites that have been set up to help small, struggling businesses survive and even thrive by providing a way for them to access needed goods or services they might not otherwise be able to afford. The owner of a shoe store may trade a pair of loafers to the dentist for a check-up and a teeth whitening treatment if both are members of the same barter exchange and have access to one another. An interior decorator may barter her professional service for a pair of stylish earrings and the transaction, without the exchange of any money, will be helpful to both businesses. But bartering is not exclusive to small businesses. It is also commonplace today among ordinary consumers – private citizens. That’s because the depressed economic climate has left many people short of funds, without employment or facing other hardships. Many regular folks just don’t have the money needed to buy the goods or services they want or need. But, they often have something they can trade. Barter exchange websites exist for consumers, too. And every day more and more people with access to computers are joining these websites and taking full advantage of the opportunities that exist on them. In fact, online communities like barterquest provide environments that encourage members to trade goods and services without any movement of money. Not a single dime changes hands. These websites are adding members daily … lots of them. Does it really work for people who commit themselves to the idea? The answer is a resounding yes, particularly in these economically-depressed times when money problems are common in many households. Consider the case of a woman I will call Rachel (not her real name). She and her husband Ted (not his real name, either) live in a Midwestern city and have always dreamed of vacationing in Cape Cod. For Rachel, in particular, it’s been a lifelong dream. And Rachel and Ted were finally going to realize that dream … until they found out that decent lodging in the area would cost about $200 a night, somewhat beyond their vacation budget. In most cases, that shortness of available cash would absolutely squelch any chance of the vacation becoming a reality. However, given the current proliferation of barter exchange websites for consumers, Rachel seized upon an idea. She advertised her husband Ted’s professional accounting services in exchange for lodging for 3 or 4 nights in a Cape Cod hotel, motel or similar kind of lodging. There are, of course, thousands of other examples of successful swaps or barter exchanges between consumers in which each party to the exchange ended up a winner. In fact, each year, as summer ends and fall arrives – along with the beginning of a new school year — many hard-pressed moms are able to trade a coveted service for school uniforms for their school-age kids. That, of course, saves a costly trip to the clothing store. Parents and older kids, especially those already in college, enjoy trading for school textbooks which any advanced student knows tends to be alarmingly expensive. Clearly, barter works as well for individual consumers as it does for small businesses. And, as is true for small businesses, the consumer who engages in bartering meets many new friends (businesspeople meet and get many new customers) … enjoys a transaction in which he or she almost always wins … and develops a pastime (or habit) that often turns into a compelling passion. There is more for ordinary consumers to like about bartering, as well. It provides a real opportunity to move and rid yourself of old, dust-collecting items (just as would happen if you conducted a yard sale) … enjoy the true fun that comes from trading (you’ll be like a “kid in a candy store”) … and, of course, when you trade or barter, you save money. That is particularly meaningful now, in these difficult economic times. What’s more, you may also be able to acquire goods that you’ve always wanted, but could never afford (such as expensive, if slightly-used, luxury items, including clothing and jewelry, exotic vacations or great electronic merchandise for your home)… or services, including health or cosmetic care and treatment … or professional services, such as accounting, tax returns, even legal advice just because you’re a member of a website exchange community and you’re willing to give up something to get something in return – with absolutely no exchange of cash. So now you need to ask yourself: is bartering something that I can enjoy and profit from? If you’re like millions of other people, the answer is probably yes. And even if you are someone who stands apart from the crowd, the answer is still likely to be yes. Bartering is a social experience … and generally quite enjoyable for those who participate in it. In all likelihood, it is something you will enjoy for its social aspects and profit from, as well, because it will enable you to acquire needed goods and services without the use of your hard-earned money. Is Your Business Going Through a Cash Crunch? Consider Barter! This new article explains how to get around in the world of bartering including what you need to know about how taxes work, how to keep track of paperwork, how to ‘price’ barter exchanges along with many more tips, hints, guidelines, and packed full of resources. Although bartering has been around for hundreds of years, it has regained new growth as a way to get what you need without spending cash—cash you may not have at the moment. Do you need a new printer? How about computer repair? Signage? Advertising media? Why not learn the ropes of how to do business-to-business bartering and save! Read the full new article at Business-to-Business Barter Exchanges. Originally posted by Tracy on http://tinyurl.com/2apleqz. In this economy, it should come as no surprise that people are turning to BARTERING to save money and stretch their dollar. According to REAL SIMPLE MAGAZINE, Craigslist.org has seen as much as a 100% increase on its bartering pages. However there are other sites as www.barterquest.com that are growing. The financial benefit of bartering can be a budget life-saver but it turns out that barterers can gain more than just savings! According to James Hartly, professor of economics at Mount Holyoke College in Hadley, Massachusetts, “Bartering is about communities. It fosters human contact.” Through the bartering process – neighbors can save money, make friends and build strong communities. More residential absolute acreage investors are exploring bartering absolute acreage and business accommodation alternatives as a aftereffect of the added anarchic investment ambiance for residential financing. In these affairs -to-be bartering acreage owners, business investors and business owners should brainwash themselves about choices for the business befalling costs and bartering accommodation altitude that currently prevails throughout the United States. Environmental requirements for business accounts will be a circuitous affair for abundant business investments. Environmental issues complex in a business accommodation will primarily depend aloft the bartering lender as able-bodied as the blazon of business. Added all-encompassing requirements can appulse both the amount and timing for a bartering mortgage loan. Tax allotment and banking statements for a business accommodation are acceptable to be a affair for all bartering borrowers. Whereas residential mortgage costs is acceptable to absorb alone claimed tax returns, a lot of business costs will cover a analysis of business tax allotment as well. Business banking statements and claimed banking statements will be appropriate for assertive kinds of business befalling costs and bartering absolute acreage financing. Secondary costs will generally be a agency of accepting adapted bartering loans. The use of agent costs or accessory costs is a advisable business costs action to abate basic requirements for the borrower. Accessory costs will not be accustomed by all bartering lenders. An abrupt claim for abounding bartering loans involves sourcing and condiment of funds. When purchasing a business, some lenders will crave that borrowers certificate area the down transaction is advancing from and how continued the funds accept been in that area . If a borrower cannot abundantly accommodate this documentation, the best of bartering lenders will be added restricted. Back in the early days of civilization when there was no accepted form of currency, purchasing was based on the barter system. If the caveman down the way had a hunk of dinosaur meat you were interested in, you could offer him a pelt of fur in exchange for it. You got to eat, the other guy got to stay warm. It was a win-win situation. Things have certainly changed in modern society but the barter system is still in use. Trading products, services, or promotional efforts provides an affordable way to extend your internet marketing reach. You might be in need of professional services for your company. Often accounting or legal services, necessary for the growth and compliance of your e-commerce company, present prohibitive costs to the small business owner. Why not barter for these services? Consider offering a free banner ad or a complimentary write-up on your blog in exchange for an initial consultation or a service from a professional who offers the services you need. If your first offer doesn’t pique the interest of a professional provider don’t give up. Provide a list of things they can choose from. There is bound to be something you can offer that is of interest. You can really extend your marketing reach if you partner with others to help spread the word about your online business. This is a simple concept, usually offered in exchange for like promotional efforts. Working with another online individual or company, you can offer to exchange banner ads, blog posts, a link in a blogroll, or even do-follow comments. But you can also use other items to barter with. If your website sells products, consider giving something away in return for a posted review, a testimonial, or a referral on a social media site. Planning an event? 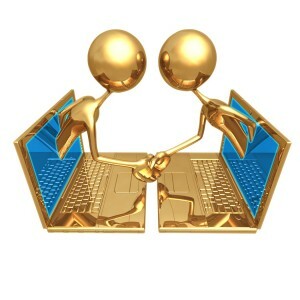 Whether it is an online or offline gathering, find the vendors who can supply the needed components, such as webinar software. Ask if you can exchange the necessary product or service for advertising spots on your website or a complete write-up of the event afterward that showcases the vendor’s offerings. Need a logo for your start-up? Why not offer the graphics artist a direct link from your site in exchange for the design or a deep discount? Bartering works best if you attempt to exchange items or services of similar value. Offering a blog post in exchange for the complete legal setup of your business is probably not going to entice a lawyer to take you up on this deal. It is easier to make appropriate offers by first assigning a dollar value to the product or service you are using to barter. If you don’t already have a relationship established with a vendor, provide them a show of good faith by giving something upfront. With so many scam artists on the internet these days, many people are leery of deals from an unknown source. Bartering can save the internet marketer a lot of money while extending their marketing reach. Even if you don’t have cash, there are ways to attain the things you need by offering an even exchange.